Echoes in the Sand by Gwyneth Williams is a story of betrayal, loss, love and secrets. It’s a great holiday read, especially if you are relaxing on a Greek island. The story swings back and forth in time, skilfully illuminating the journey for the reader. There are one or two ‘typos’ and Helen did have a lot of ‘bile rising in her throat’, but the reader is drawn in to Helen’s world of deceit, guilt and desperate love and will want to know how she overcomes the challenges she faces. The novel is beautifully written and the short chapters drive the story on. I’m afraid I didn’t like Helen at all, nor any of the main characters very much (apart from Jude), but this may have been the author’s intention as when the big reveal happens, the reader will know why Chloe has attitude. This is not a genre I would normally read (romantic fiction) and did enjoy revisiting Zakynthos through Gwyneth Williams’s accomplished narrative. 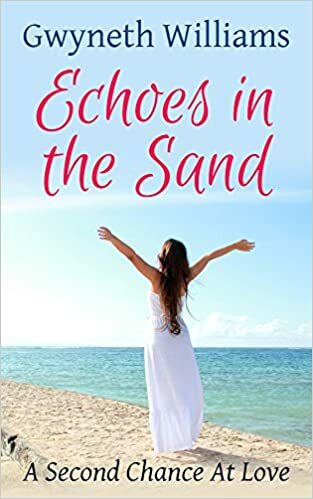 For lovers of romantic fiction, and the Greek islands, I would definitely recommend Echoes in the Sand.